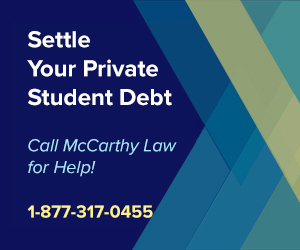 In 2018, the best way to prevent yourself from delving too deeply into student loan debt and being forced to rely on loan forgiveness or loan consolidation programs is to avoid student loans all together. For some students, this may be an impossible task, as college tuition rates have risen astronomically in recent years, but for those students who can leverage enough savings combined with assistance from scholarships, grants or military benefits, it may be possible to entirely avoid student loans. To find out how you can graduate without a mountain of student loan debt, we’ve put together this helpful guide. Take advantage of as many of the following ideas as possible, because the more of these that you can implement, the more money you’ll be able to raise or save for your higher education costs, and the less you’ll need to rely on student loans. Let’s face it – joining the military is one of the last things most college hopefuls want to do, but there are tremendous benefits to enlisting. From the Post 9/11 GI Bill education benefits to military scholarships and tuition discounts for veterans, there’s a wide variety of reasons why serving your country can help you avoid taking out student loans. The military makes education a priority, and while each branch offers different education benefits, all of them provide something to incentivize earning a college degree. If your’e strapped for cash, but want to get your degree, then you should consider the many advantages offered by enlistment. Please view our Guide to Military Education Benefits to find out how you can save tens of thousands of dollars in education costs. Even if you’ve been unemployed (or underemployed) for an extended period of time, please don’t think that your best option is to try hiding out in graduate school, getting a masters degree or even a PhD. All you’ll be doing is prolonging the inevitable, raking in tens of thousands of dollars of student loan debt and setting yourself up to graduate penniless and in even worse financial shape than you entered your graduate program. Don’t return to school without first considering the return on investment that your potential program promises, and be sure to avoid advanced degrees in the humanities at all costs! 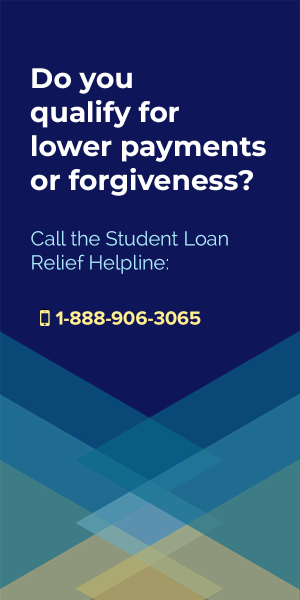 Over-borrowing on your student loans is one of the easiest ways to get yourself into some serious financial trouble. Before you sign up for any loan programs, make a serious effort to determine just how much you’ll need to get yourself through school so that you can calculate an expected return on investment and find out if getting your degree will even be worth the time and effort. Make sure to consider your tuition and administrative fees, the costs of books, living expenses, funds you’ll want available for entertainment and activities, as well as things like car maintenance, auto insurance, health insurance or any other potential costs that you could run into. This may not be an easy process, and it might even be the first you’ve created a personal budget of any sort, but it will certainly be worth it in the long-run, especially if it helps you avoid tens of thousands of dollars of unnecessary student loans or student loan interest charges. These days it’s already relatively difficult to get a quick positive return on investment from going to school, and borrowing more than you actually need in student loans guarantees that you will get less out of your invested time and money. You might be tempted to treat your student loan money as funds for personal expenses, but if you do, you’ll be in for a world of hurt down the road. 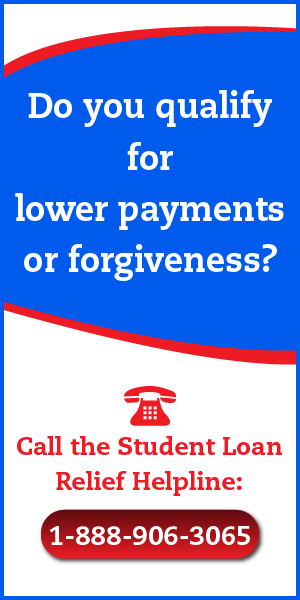 Buying furniture, clothing, computers and other consumer goods with your student loan funding is a sure-fire way to bury yourself into ever deeper levels of debt, and for no good reason. To avoid making this mistake, take out your personal budget and divide you expected expenses into two categories, education costs and experience costs. Educational costs include things like school tuition, administrative fees, college textbooks and other costs specifically associated with your education, while Experience costs should include things like studying abroad, joining a fraternity or sorority and other expenses that might be fun, but have virtually nothing to do with getting your degree. Be sure to avoid spending any money you’ve received in student loans on Experience costs, and furthermore, try to reduce those costs as much as possible since you’re working with limited funds and should be spending money on legitimate education expenses rather than having fun. Remember, the less debt you rack up now, the sooner you can get into the “having fun” phase after you’ve graduated and landed your dream job! Personally, my biggest mistake in college was refusing to line up a paying job of any sort. I felt like I needed to spend all my time focusing on studying so that I could keep my GPA high enough to make it into a top tier graduate school. I never went to graduate school, but I definitely could have used some extra income to help pay off my student loans sooner. When I look back on my experience in college, I now realize that I had far too much time for activities like watching tv, which could have been spent pulling in some money to help cover the costs on my education and avoid racking up additional debt. Yes, I had a ton of fun in college, and you can too, but I could have done all that without spending as much money as I ran through if I would have just worked 10-15 hours a week. Take it from me, if you make college a crazy paradise of no-work and all play (studying really isn’t that hard…) then you might just find yourself pining away for that freedom in future years while struggling to make ends meet because of your overwhelming student loan debt. Even holding down a minimum wage job at 5-10 hours per week can help you to reduce your post-graduation debt levels, which could make all the difference in making your eventual loan payments an affordable expense. Don’t want to work bagging groceries or doing some other dead-end job? Try looking for a paid internship in your field of study. Internships are relatively easy to land, but paid internships are a tougher nut to crack, since they’re so much more rewarding. Honestly though, there are thousands of these things strewn throughout the country in virtually every field, and many of them go unfilled each year! Landing a paid internship can provide you with the funds you need for small expenses, help cover your entertainment costs and prevent you from having to rack up additional debt while also providing you with skills, knowledge and experience in your field. If you make it through school without working a single internship, you’ll have a rough time landing a job at graduation, and you’ll have only yourself to blame. Even a weekly or monthly stipend could go a long way toward helping you create a mountain of inescapable debt, so while seeking internships, don’t be afraid to ask for some kind of financial assistance from even those that are listed as unpaid. If you’re worth it, businesses might be willing to allocate some funding to get you on board, as long as you can prove that you’ll provide a good return on investment. Another good reason to work that part-time job is that you can use the revenue you earn there to fund small costs and avoid having to borrow more money. Don’t rely on your student loans to pay for smaller expenses like food, weekend activities, clothing, transcript fees or school supplies, which are all relatively small costs that you should be able to cover with your own money. Doing this will help you prevent from pulling out more money in student loans, which can turn into a never-ending cycle of debt inflation once you get used to grabbing more funds each time a cost appears. The first step toward keeping your debt level in control is to fund as much of your purchases as you can without using borrowed money, and the easiest way to do that is to make sure that you pay for all the small stuff yourself. If you’re not already in college, then make sure to start saving for your education as soon as possible. You might think it foolish to keep your spending in control now, when you likely have no debt and no responsibilities, but if you can put half of everything you make, earn or are given into a savings account starting from an early age, you’re likely to have enough money in that account to fully fund the price of a college degree from an affordable school. If you’re a parent and hoping to send your children to school then start saving as soon as they’re born. With the cost of college rising rapidly each year, it’s hard to say how much you’ll need to stash in order to fully cover their educational expenses, but the earlier you start, the more likely you are to have enough for them when the time comes to write those checks. Put small sums of money away each month into some form of savings account, mutual fund or investment account that you’re sure to earn interest on, and let compound interest go to work in helping you collect up enough funding to pay for that college degree. This may be difficult, but it’s also the most effective way to avoid having to rely on funding college with student loans. Trust me on this one – you do not need an Ivy League school or nationally-recognized brand name university on your diploma to get hired. I’ve been on both ends of the job-seeking process (searching for jobs and searching for candidates), and I can tell you with 100% honesty that the name of the school on a resume has mattered far less than an individual’s ability to hold an interesting conversation, answer questions honestly and truthfully and seem like someone I would want to work with. Potential employers will likely care far less about where you graduated from than about whether or not they believe you have the smarts to get the job done in a way that won’t require extra attention and work from them. Go to school close to home at a college that doesn’t cost much and avoid overpaying for your credentials, because honestly, most people won’t care where they came from! There aren’t a lot of free college programs that are well recognized by potential employers yet, but the tide is definitely shifting. Depending on what you want to do and who you want to work for, you might be able to take advantage of schools like the Khan Academy, who provides college-level courses for free, entirely online. Don’t get me wrong – I’m not saying that doing so is guaranteed to land you a dream job with a $100,000 salary, but depending on your interests, your current skills and the field that you’re hoping to work within, you might be able to get by on significantly less than the cost of a four year degree. Think about pairing Khan Academy courses with a degree from a Junior College and you might be able to find a blend of just enough of the right kind of education to get your foot in the door in the industry of your choice. Everyone talks about scholarships, and virtually everybody understands their benefit, but did you know that hardly anyone actually applies for some of them? Across the United States there are literally thousands of scholarships that go unclaimed each year, simply because no one took the time to fill out their application forms. You might not feel like spending your weekend jumping through hoops, writing personal statement letters and filling out applications, but if you spent just a couple hours each week submitting yourself for scholarships you could stand to save yourself tens of thousands of dollars in student loan costs. Are you different in any way from the “average person”? Have any strange interests, abilities, skills or beliefs? There are scholarships for just about everything, from creating the best prom outfit out of duct tape to calling in the most ducks in a duck calling competition. Grant money is just as good as scholarship funding, since you don’t ever have to pay it back. Once you’ve run out of potential scholarships to apply to, make sure to start exploring the grant money circuit, which includes some big public funding sources like state and federally funded grants for low income students. Typically, getting grant money for school will require quite a bit of paperwork, but as long as you submit your application early, some grants are virtually guaranteed to come through. Grants exist for all sorts of qualifications, with about as varied a range as scholarships have, so no matter who you are, it’s likely that there’s some available funding out there for you. College is fun as hell, but everyone knows that! What most people don’t realize, however, is that the longer they spend in school, the more debt they’ll accumulate and graduate with. Think it’s cheaper to go to college part-time so that you can keep a full-time job while earning your degree? It might be, but only if you’re already pulling in a hefty income! Avoid racking up excessive student loan debt by taking as many AP classes as you can during high school, taking junior college courses on the side while in high school or while in college to complement your regular class schedule, and take as many units as you can each semester to make sure that you don’t stay in school longer than you absolutely have to. Don’t make the same mistake I did and opt for an additional year just because you want to double major in another useless social sciences subject- it won’t help you land a better gig come graduation. Remember, the sooner you get into the real world, the sooner you can start earning a serious income that will help you pay down that debt you’ve accumulated. Get out of school as soon as possible and you’ll avoid thousands of dollars in additional student loans. Making sure that your college degree will provide you with access to steady employment and a high income is one of the best ways to avoid creating too much debt for yourself. Were you planning on going to school to study Philosophy, English Literature or Music? You might want to think again after you’ve checked out the employment prospects for those graduating with humanities degrees. Stick to science, math or computers focused subjects, like those in the hard sciences and you could be well on your way toward pulling in a six figure income relatively quickly. Those graduating with degrees from Physics, Chemistry, Biology, Engineering or Computer Science programs almost universally find better career prospects than those coming out of school with degrees in Psychology or Political Science. Before officially choosing your major, make sure to check the Bureau of Labor Statistics and Payscale websites to see what people currently working in your desired field are earning. According to Finaid.org, you shouldn’t borrow more money in student loans than you think your first year salary will be once you’ve graduated, so you’ll need to estimate a potential income to figure out how much debt you can take on. Now that you’ve got a pretty good idea about what you should be earning once you’ve graduated, and since you’ve already figured out how much your college education will cost, you should be able to calculate an expected return on investment. Without calculating an expected ROI, you’ll be rudderless, investing time and money in a college degree that you don’t know the potential value of, which could lead to a huge mistake. 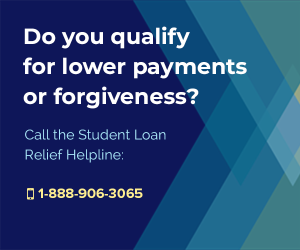 Remember that you’ll have time to pay back your student loans, so you don’t need a positive ROI right away after graduation, but don’t forget to factor the loans interest into account either. The more money you borrow, the more interest will rack up after graduation, and the more money you’ll have to spend paying off your education. Don’t take out a huge loan for a degree that won’t land you an equally huge income, or you could be setting yourself up for long-term financial disaster! 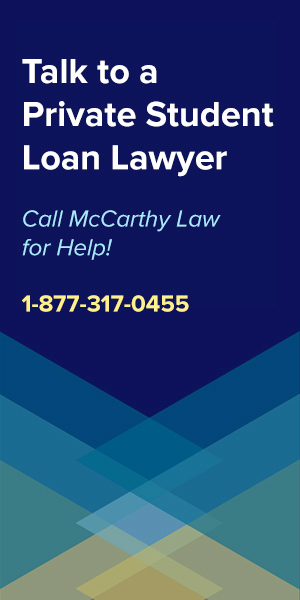 Look to federal loans if you do have to take out any student loans, since they at least come with fixed interest rates and because they’re eligible for all sorts of federally funded loan forgiveness and repayment programs. 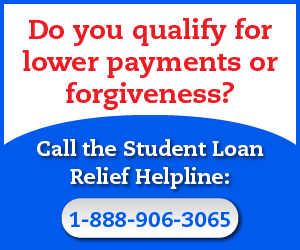 Heard of the Perkins Loan Cancellation or Stafford Loan Forgiveness programs? Those are only available to people with federally funded loans. If you want to get rid of your debt without getting buried in compound interest, you’ll have to pay it off as quickly as possible. 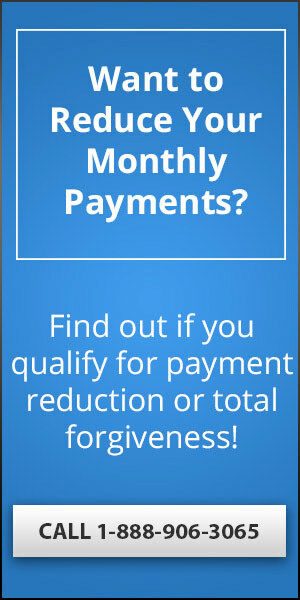 The best way to prevent yourself from running into problems here is to limit the amount of debt that you initially take on. Conventional wisdom now says that you shouldn’t sign up for more in student loans than you think you’ll earn during your first year of working. While this might limit you to attending local colleges or lower ranked schools, don’t forget that reputation doesn’t matter as much as the big colleges and universities want you to believe it does! If I could make one single change about my undergraduate experience, it would be to have attended a community college for the first two years. I wasted tens of thousands of dollars on courses that didn’t really matter, overpaying for instruction that has become irrelevant to me, even though I work in a related field to the one I studied in school. Save yourself the trouble of moving expenses, rent, transportation costs and significantly increased tuition rates by staying local and completing your general education requirements at JC. Remember, when you graduate, the big school’s name will appear on your diploma anyway. No one will ever even have to know that you weren’t at the name-brand University for the first two years of college! Do you really need to go to that private university that your parents and their parents and the parents before them all attended? Do you realize that private schools are literally three times as expensive as public schools, with very little additional value attached to that inflated price tag? For the love of your wallet and bank account, please attend a public school! In 2009, a College Board reported that just over half of public school graduates came out of college with an average student loan debt load of $19,8000, while more than 60% of graduates from private schools averaged over $26,000 in debt (nearly twice as much!). Don’t fall into the brand name trap! Public schools provide the same excellent education as their private counterparts, without the increased price. Better yet, rely on an in-state school to avoid out-of-state tuition and fees to protect yourself from some serious price gauging. If it seems overwhelming, don’t be afraid to ask for help. You can get assistance planning how you will pay for college, or paying off your student loans by visiting the National College Finance Center’s website. 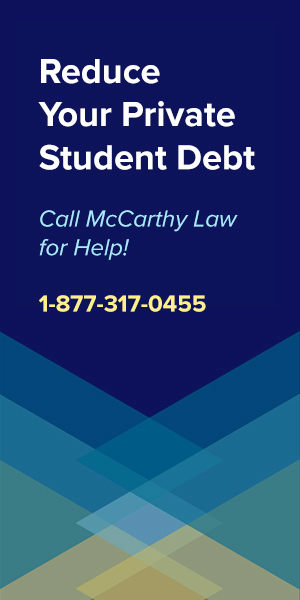 Here you’ll find free resources including a personalized college finance plan or student loan repayment plan that’s based on your specific information and situation. 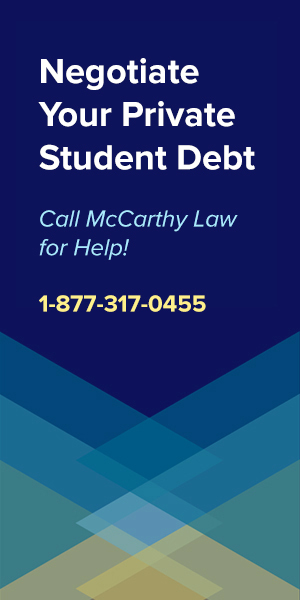 This is not a company that charges for advisory services, but a Government-sponsored agency set up specifically to help students prevent themselves from taking on too much debt and get others out of the debt they’re already accumulated. The National College Finance Center was created specifically to help you! Make it easy for them to do their job! 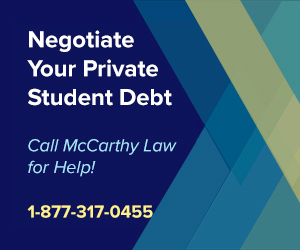 Going to college and earning your degree is extremely expensive, quite time consuming and it could require you to take on a boat-load of debt, but it really is well worth it. Study after study has shown that college graduates earn significantly more than their high school graduate counterparts, especially when data is aggregated over lifetime earnings. While the barrier for entry might be high, you can find yourself sailing some relatively smooth seas once you’ve gotten yourself firmly established in a respectable, enjoyable and profitable career. If you have any questions about this article or if you just want to comment on something I’ve said, please feel free to sound off in the comments section below. My son will be entering the Navy as an officer if his contract is accepted. We have Parent Plus loans. Will he be eligible for any repayment programs or monies toward these loans/ If so what should be specified in his contract? 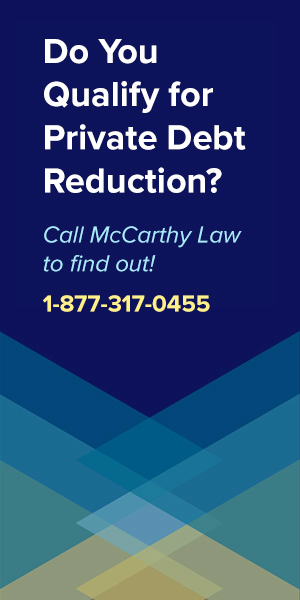 There are tons of variables and factors involved in determining eligibility, but a good place to start would be to review my pages on The Forever GI Bill, the Navy Tuition Assistance Program, and the Navy Student Loan Repayment Program. Don’t make the same mistake I made – I went back to graduate school after I was laid off and unable to find a job in 2009. Now I’m saddled with excessive student loan debt (I owe $50,000+ just for my two year masters program alone) and I still can’t get hired because everyone says I’m overqualified! I’m stuck between a rock and a hard place!! !